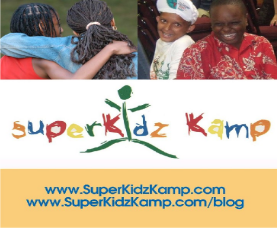 “Dedicated to the belief that all children are gifted and talented,” SuperKidz Kamp provides experiences that stimulate the camper’s social, emotional and intellectual growth while making sure that our SuperKidz Kampers make new friends and have a good time. SuperKidz Kamp, www.superkidzkamp.com, is loaded with fun-filled activities. In the morning, the camper’s participate in Leadership Playshops where collaborative games are used to teach important life skills, such as effective communication, cooperation and conflict resolution.